I bought your Worn Photo Overlays, but I do not know how to use them….pleeeease can you help me!! Hi Tracey, just emailed you. Good morning, Manuela…or perhaps good afternoon, your time. My name is Connie Jagodzinski. Friends loved the bridal and vintage pictures I created for them and suggested I start my own company. So I did. I named it Scrapbook Whimsy (working on website). Of course, the elements and kits bought on Scrapbookflair and scrapbookdesigns and scrappity-doo-dah were for personal use. Now I must acquire commercial permission from the wonderful designers. I love your work for vintage photos and respectfully request permission to use them in creating bridal and scrapbook albums for my clients. It is not a slap-em-in and sell them business. I labor over each photo, crafting the elements to suit each individual and make it unique. Some I truly love and will use again, in all honesty. So I need a commercial license. You may see some of my work in my home gallery at scrapbookflair.com. I don’t remember if I go by Conniejago or Conniejago@aol.com. Either way, you are welcome to check them out. I love EmKa and Flergs and Ztampf! for their clean lines and soft colors. Everytime I look for vintage fixings, your name is on it. So I have a list of 16 kits and masks and overlays I would like to purchase as quickly as possible, but I’m not investing the money if it isn’t legal for me to charge my clients. Please get back to me soon. My fingers are itching to use your beautiful work to delight my friends and clients. Hi Manu, First I would like to thank you for you alsome work. I love old vintage grung anything. I just purchased the Worn Overlays II, cant wait to work with it. When opening the kit one folder opened fine, but the other one didn’t open where I can see what the page looks like without clicking on it so it will open in Windows Photo Viewer. The one folder I can see the page right there in the folder. What do I need to do to make the other folder where I can see the page without going through Windows photo Viewer? I look forward to your newsletters just to admire all your beautiful work…..
has a soft vintage look I love. Hello, I just signed up for your newsletter and was hoping to down load one of the free items for newsletter subscribers. I was going to purchase your New Home kit but also wanted the free New Home add-on with the picture frame and window. The link is not working, Can you help with this problem? Manu, I am so in love with your work! I own almost everything and get so much inspiration from you and your CT girlies. I look forward to the newsletter each week and am awaiting your new collection. Thank you for all that you do…..
Manuela, thank you so much for all the beautiful papers and elements. 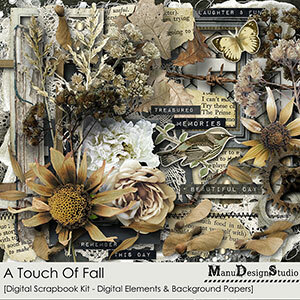 They are so much fun to work with and produce lovely vintage scrapbook pages – I love working with them. I am having a problem, I am not receiving your newsletters any more. Would you be able to check into that. Thanks so much. Hey Reni, thank you very much from your kind words. I’ll try tofind out where the problem with the newsletter delivery is and email you. Manuela, Thank you for all the hours of creative pleasure your kits have given me. I find myself going to them over and over again, and find they are appropriate for any occasion–from scrapbooking family events to cards to holiday hybrid projects. Keep up the good work, and thank you for sharing your creative genius with us. I find your kits to be a creative work of love. I found you in a search for kits of Lake cottages, but unfortunately the one that I fell in love with of yours is no longer available, “Summer at the Lake”. Would there be any opportunity to purchase this in the future? Our family Lake Cottage is being sold after over 80 years in our family and I would love to use your Summer Lake Bundle in our memory book for my family members. Thank you for your time and your wonderful creative talent. Debbie, thank you very much for your kind words. This collection was a request. The family spends in summer a lot of time at the cottage, which is located at a lake in a forest in Canada. Unfortunately she only found kits from the ocean, with seashells. starfishes and so on which isn’t of course the same – so I thought why not making a summer kit about a Lake, with conifer trees and so on. I hope it will help ypu in creating the memory book for your family members. Have a nice xmas time! I have tried to download one of your Christmas Freebies from your website without success. I click on the link but I have no idea where it downloads it to. I would like to purchase some of your items but I’m hesitant to do this online. Do you have a toll free number where I can call and pay over the phone? Hello Cindee, I emailed you, hope I could help you! Silvia, I visited your blog. Wow it is nice done, I love it and your dogs are soooo very beautiful! I’m very impressed! Great job! Thanks for pointing it out to me 😉 Happy New Year! Virginia, thanks you so very much for your Christmas Wishes. I hope you spent some lovely and relaxing holidays too. I enjoyed the time with the family being together and relaxed a bit but I’m alos glad that it is now over; all that eating …. Hello Marlies, thank you sooooo much for your kind words. I hope you had a wonderful Christmas Time and I wish you and your family a very Happy and Healthy New Year! I can’t find where I create my user name & pass work so I can be a member of your site? Thanx for your help & I love your site. So excited to discover your work. I can’t wait to buy some of your kits. The only person so far that makes designs like you do & they are just what I like & need. Hi Manuela. I am always on the lookout for “filler” flowers or in other words, groups of smaller flowers that will fit in nicely with groups of other flowers. Example – babybreath, tiny wild daisy, buttercups etc. Just putting a wee hint out your direction as you know, your kits are my favs….Keep up the great inspiration in your kits…Love em. Hey Cherril, thanks so much for your message. Can’t wait for spring when everything starts to grow up. I am wondering if you can tell me how to use your masks which are very beautiful. I drag them onto my scrapbook page but they still show up as black and the picture will not go into the mask. How can I make this work so my pages will be lovely? Thank you so much for all the inspiration and for your generous gifts of freebies from your talented contributors. I am so grateful and love the ideas and use of images. Thank you for all your beautiful gifts…..I love your work and designs. silly characters make me so HAPPY. Hello, and thank you for your beautiful kits and Freebies you offer.I could not get the last quick page from any of the three downloads you offered. The whole page did not show up and there was no buttons to click on. Thank you anyway. I really love your work and designs. Yesterday I bought the page Kit “Collection Of Moments” and I am wondering if you can tell me where can I find the resources you show in the examples, specifically in the photo which appears ” camping hiking, fishing swimming. Hi Inmaculada, thank you very much for your nice and kind words … I’m really so glad you like my designs. Sorry for getting back a bit late to youz – was on a short vacation. The sample page you are talking about was created by Janet (one of my amazing CT girls) and I love her camping, hiking, fishing, swimming page so very much too. I know she used a tutorial which is offerwed at digitalscrapper.com … but I can’t say exactely where you can find it. I’ll ask Janet if she has more info about, okay? Will be back to you with hopefully good news. I really love your work and designs. I want to know where can I find the resources to make the page you show in “Collection Of Moments ” and specifically in the example I sent in this mail to you. I bought the kit but I would like to make a similar page. I got my newsletter today telling all about your new Catch A Wave creations and immediately went to Scrapbook Graphics and purchased the Bundle. You are a beautiful Designer and I love everything you create. May God in heaven bless you abundantly for all your hard work that you share with all of us digital Scrappers! Thank you!! Wow … Patricia, thank you so much. I’m so glad you like the Catch Of Wave and I am so thankful for your nice and kind words. These mean a lot to me – really. Thank you! I would like to know how Tracey made her layout of the thinking of you photo looked torn in the August 9th issue.She did a beautiful job. What kit did she use I would like to make a layout like it. That torn paper is included in layered PSD format so it easy to customize it. You can add a photo or any texture or paper or color … whatever you wish and still have the layers (curled edges) intact. Hi Manu I’m having a hard time getting the photo in the torn paper psd .Can you email me with the instruction on how to do it. Thank you very much I just love this digit-scrap-sprit sight you and your team are great. Will send you instruction as soon as possible, Nancy! Unable to leave comments on your latest newsletter page. I am receiving an Oops message instead. I have included the specific page. Love you. Really Shirley, thank you so much. I didn’t know andnever would have known and so much appreciate that you used the contact page instead to notify me. I hope you are fine and doing okay, Shirley? I just purchased your kit fight night………it show a spiderweb in the preview…….but I can’t find it in the kit………please reply………thanks! 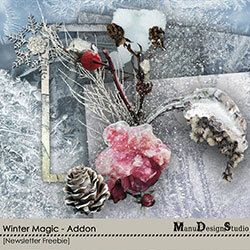 Hi, I just received my newsletter with your beautiful snowfun being shown. I am not sure why, with about the last three postings where your samples are shown, I have been unable to download any of your work. It shows that it is downloading, but the numbers of time for downloads is whacky. It may start out showing one time either in hours or minutes and it just keeps jumping back and forth and goes on forever. I have eventually gone to check to see if it is doing anything where I put all my downloads, and it shows that it is downloading, but I have run across this before on things I downloaded and when I go to open them they are unopenable. So, I just cancel that download and cancel the download. I did advise you of this on one of the first ones that did that, but to my knowledge I don’t think I ever received a reply, but it was the holidays and I know that everything was hectic. I love your work and have in the past, purchased some of your items. I do hope that this can be figured out to see if it is on your end or on mine. I have not had any problems downloading anything else. I really am sorry that I cannot get to your free samples, and I have not gone in to order anything until I can figure out what the problem is. I do hope that it is fixable because your stuff is beautiful. I’m so sorry for the trouble with the downloads. I’ll email you privately with an alternate link to download all that you missed. I sure have a link for you where you can grab everything you missed. I’ll email the link to you directly. Hi. I’m not sure what happened but I never got the newsletter on Feb 14th. so I never got the free min kit. I hope maybe somehow I can still get it? Just in case it is possible my email has gotten lost with you I have signed up again. Maybe you didn’t have my email in the above comment so here it is. This really means a lot to me and I’m so happy you like my designs. I’m really very happy you like my designs. I subscribe to your newsletters but cannot open your free mini kits at work/ I only have a work email. I bought the attic memorabilia kit and the free min kit would go nicely with it. Hi Gail, I’ll email you the link! Oh … wait. I emailed you the link but then, it is your work email, right? And then you again get it on work and can’t open it, right? How can I send you the link then? Maybe through a private message in a forum? Scrapbookgraphics? If so I would need your username there. Mine is Manu. Hi – I have signed up for you newsletter, but do not seem to be getting them. Was really hoping to be able to download a couple of the freebies and am not able to, please help. I have purchased a few of your sets and really love your work. Hi Peggy, I sent you an email. in gmail it is a bit tricky to find the newsletters since they changed the face of the inboxes. On top you see different tabs and newsletters could be find in the promotions tab. If you click it you should see them in there. Also already sent you a screenshot to show you. Sometime back (time escapes me), you had an item that was of great interest to me. It must have been some type of template, which I did not know how to use at the time. It was kind of “rolled’ at the top and you had place a scenic photo on it that took the form of that background/template. I have looked in your store at digichick and cannot find it. I don’t think it is the ripped paper templates. The sides were smudged I believe, but I don’t remember the tears at the top. This may have been an item that you stuck in your vault. Could you get back with me? Hopefully you remember the item in question and can help me with this. Thank you so much! By the way, you and your designers do such wonderful work—I love it!! Hey Manu, I think I found the posting. it was a tutorial that was posted in 2015 on “curled paper”. Do you still have the psd version of that ???template??? or whatever the png was.